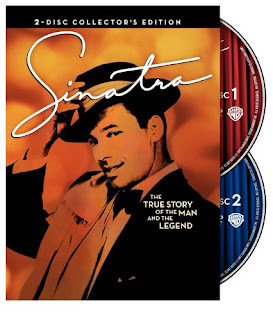 On Episode 98 of The Frank Truth Sinatra Podcast, it's our review of the Sinatra miniseries that was released on DVD in May. The movie was approved by Frank Sinatra. His daughter Tina was Executive Producer. It won a Golden Globe Award as "Best Made For TV Movie" for 1992. Click here for the MP3 of the show, or subscribe for free at iTunes. This episode is sponsored in part by eMusic. Get 35 songs for free with our two week trial offer. Click here to learn more. Here's the Tommy Dorsey page at eMusic. Here's the Frank Sinatra page. Here's the Rat Pack page.